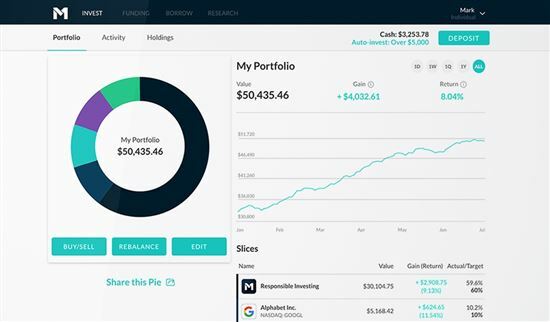 No-fee robo-advisor that allows you to choose your own investments. If you want to be hands-off, but still with a say in your investments, M1 Finance may perfectly bridge the gap between robo and DIY investing. 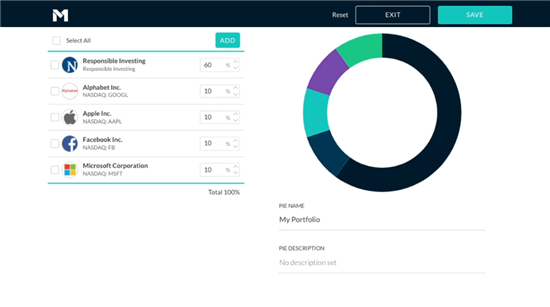 It stands out from other robo-advisors by letting your create and customize your own portfolio. Then the automated service will manage your account. And what's more? It's free to use. There are no commission or management fees. Does its service live up to what it promises? Keep reading to find out. DIY investors. M1 gives you the best of both worlds. 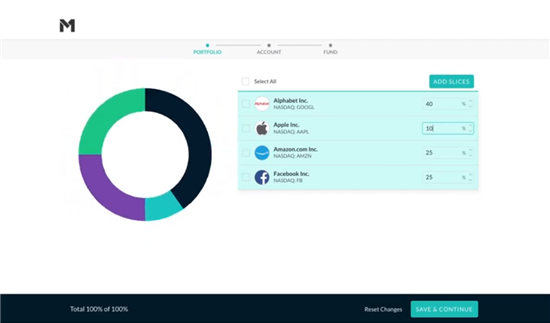 You can customize your portfolio and invest in any stocks and ETFs you wish, and M1 will manage it for you. Semi-experienced investors. M1 will not provide portfolio advice or recommendations. It's best if you have an idea of what you want to invest in. Long term investors. It's not for day traders or frequent traders, as M1 only trades once a day. M1 Finance builds what they call "Pies." Each Pie consists of up to 100 "slices" (or investments). Each slice is a stock ETF, or even another Pie. You choose the "slices" and the percentage of that investment. So for example, if you want 10% of your investment to be in Apple, that will be 10% of your Pie. You can create multiple pies for different goals. When you add money to your account, M1 Finance will automatically buy shares of your investments according to the percentages you set. So with the above example, if you add $1,000, $100 (10%) of it will go towards purchasing Apple stocks. You can set up automatic contributions. M1 will withdraw the funds from your linked bank account and invest accordingly. You can basically set it and forget it if you wish. You can make changes to your Pie at any time you wish. If you want to sell an investment, just remove a slice. And if you want to buy a new stock, just add a new slice. M1 also automatically rebalances on your command. Overtime, your pie may shift from the original allocation. M1 will buy and sell accordingly to bring it back to the percentages you set. 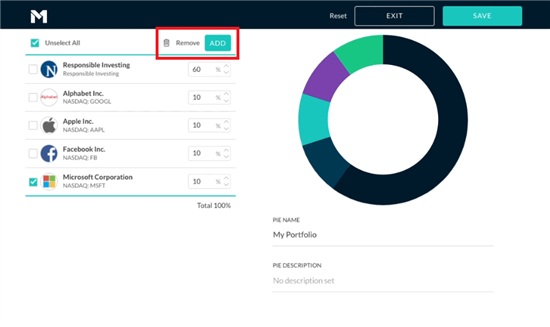 Getting started with M1 is different than with other robo-advisors. You won't see the typical questionnaire about your risk tolerance, goals, net worth, and income. Create account. Set up account with your personal information (name, address, birthdate, and Social Security number) and email address. Create Pie. From there, you go through a quick tutorial and you are ready to create your Pie. Select account type. You can select from individual taxable account, joint, IRAs (Traditional, Roth, or SEP), and Trust. Fund account. You'll need to link a bank account to fund your account. Let M1 do the work. Once the funds are transferred, M1 will buy the investments for you according to your Pie. M1 Finance is strictly an online program. You can access the platform via your PC or the mobile app. It's available for both iOS and Android devices. The platform itself is very user-friendly. You'll see a summary of your portfolio including its value, gain or loss, and return. If you want to edit your pie, simply press the "edit" button. You'll be taken to a page where you can change the target percentages and add or delete slices. M1 Finance will automatically readjust as you do so. To add a new investment, just click on the "add" button. This will take you to the "Research" tab where you can search for any stock on the major U.S. stock exchanges. 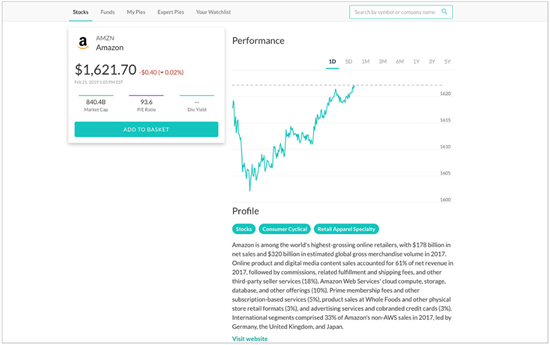 To get more information about a certain stock, just click on it to find the stock's performance data, price history, and more. Overall, the platform is very easy to navigate and creating the pies is intuitive. The mobile app is an excellent companion and works pretty much the same way. There are some services that may cost you. For example, they will charge you for an account statement or wire transfer. M1 is transparent with their fees, as you can see here. And there is an inactivity fee of $20 for accounts with less than $20 an no activity for 90 days. Keep in mind, though, you will still pay the ETF expense ratios, which M1 has no control over. If M1 Finance is free to use, how does it make money? By interest earned from M1 Borrow, which allows users to borrow against their portfolio value at a low interest rate. By lending shares to short sellers and earning a small profit from this. By interest earned from the uninvested cash in your account (instead of giving the interest to you). No commission or management fees. 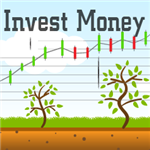 You can trade stocks and ETFs for free. This makes M1 less costly than many other robo-advisors. Only $100 to start. 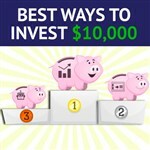 You can open an account with nothing, but you'll need $100 to start investing. This low minimum is great for young or beginner investors without a lot of capital. Retirement accounts require at least $500. Stocks and ETFs. You can invest in any stock and more than 1,900 ETFs. Anything you can buy on the major U.S. stock exchanges is fair game. Fractional shares. This means every dollar can be invested, avoiding "cash drag". What is a fractional share?. This means you can just buy a small piece of a share instead of waiting to have enough money for the full share. For example, if a share is $100 and you have $20, you can buy 1/5th of a share. Set up recurring deposits. You can set your M1 account up to regularly take money from your linked bank account and invest it. Tax-efficient investing. This helps minimize your tax liability. When you request to withdraw funds, the algorithm sells securities in a particular order of priority. Losses are sold first in an effort to offset future gains. They then sell lots with long-term gains and finally lots with short-term gains. Rebalance with a click. If your target has drifted, just click on a button and M1 will automatically rebalance. 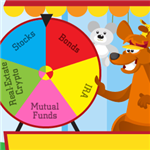 You can rebalance just a Pie or your entire portfolio. Customized portfolio. Make changes to your portfolio as you see fit. You can buy or sell investments whenever you want. Automatically reinvest dividends. Once your dividends reach $10, M1 will reinvest them for you. Test before using. You can try out the M1 platform by registering with just an email and password. You can create a portfolio and test the system before committing and linking a bank. M1 Borrow. You can instantly borrow up to 35% of your account balance at a low interest rate. Not for beginners. M1 is best for semi-experienced investors who want a say in their investments. If you want a system that will do all the work for you, other robo-advisors may be a better choice. No human financial advisors. While you can ask customer service reps about your account, they are not licensed financial advisors who can offer investment advice. Can only trade once per day. M1 only trades once a day at 9am CT everyday the New York Stock Exchange is open. This is how M1 keeps the platform free for investors. M1 is not for active day traders. No mutual funds. Only stocks and ETFs available. No tax loss harvesting. While M1 does tax-efficient trading, it doesn't offer tax loss harvesting, which is a standard feature for many robo-advisors. M1 Finance is a registered broker/dealer with FINRA and a member of SIPC. You can have peace of mind that your assets and information are secure with M1. SIPC Insured. If M1 goes out of business, your securities are protected up to $500,000 per account. SIPC does NOT protect you from losing money through investing. M1's clearing firm has supplemental insurance to over beyond the SIPC limits. Military-grade encryption. All data transferred and stored within M1's system is protected with 4096-bit encryption. Extra log-in security M1 uses two-factor authentication and fingerprint ID/face ID login to keep your account secure. Betterment is often the robo-advisor of choice for beginners. You don't need a minimum investment and they charge a 0.25% annual fee based on assets under management. You do have the option of talking to a live advisor and everything is automated, which gives beginners fewer options to choose from and can be a way to avoid getting overwhelmed. At face value, both M1 and Robinhood look very similar. Neither company charges commissions and you can trade ETFs and stocks with both companies. Where Robinhood stands out is their frequency of trades–they don't do batch trades. In other words, if you execute your own trade, it's executed shortly after you order it. The concept of M1 is to choose your own investments, so it's not great for beginners. Acorns is geared towards young novices who have trouble saving. It automatically invests your spare change and puts them into diversified portfolios, so it's great for beginners who want to invest without thinking. M1 has no account fees, while Acorns does have a fee for non-college students. Wealthfront is another robo-advisor fit for beginners. They do charge 0.25% of your assets under management per year, but they don't have a required minimum deposit. Where Wealthfront falls behind M1, though, is when it comes to fractional shares, as they don't allow it. Wealthfront does offer a college 529 savings plan, which can be beneficial for parents saving for college. M1 Finance is best for the DIY investor who also wants to be hands-off. You get to choose your own investments, but don't have to handle the tedious tasks, such as performing manual trades and rebalancing. It's also amazing that there are no trade or management fees. However, it could be overwhelming for the beginner. If you're not sure about making your own choices or you really just want the software to do the job for you, a different robo-advisor may be the better option for you.